You are here: Home / Your List / You Need an Email List. Yes, You. It’s the single biggest mistake I ever made with Ask Leo! I didn’t want to be come an “email publisher”. I thought I didn’t need a mailing list. What a mistake. What a huge lost opportunity. Not only was I wrong, but I didn’t even understand just what that position cost me until much, much later. if I had to do it all over again, step one would have been to set up my web site, and step two would be the mailing list. If you’ve been following along, you’ll have done step one. I think you can guess what’s next. In this article I’m going to review some of the major topics relating to setting up and using your own email list. In coming articles, we’ll dive a little deeper into some of the more important facets of this project. Statements like this are just flat-out wrong. They represent a serious lack of understanding of how email is being used, and being used successfully, among millions and millions of people every single day. Absolutely there are issues. Kids tend to avoid email until they reach the workplace, or until they decide they really do want to stay in touch with someone who’s not on whatever insta-snap-gram-chat program they happen to be using this week. Spam is a reality we need to deal with – not only as recipients, but also as senders. Many people manage email poorly and end up with overflowing inboxes full of stuff they never read. But the reality remains: email is used by the overwhelming majority of people on the internet, including the people you want to engage. Despite its various flaws and warts, email works. You want an email list because it’s the only way you can control how you engage and communicate with people who are interested in what you have to offer. Search engine traffic can go away overnight if an algorithm changes. This happened to Ask Leo! ; over half my traffic disappeared literally overnight. It’s happened to friends who’ve lost as much as 90% of the traffic they get from people searching for their topics, simply because a search engine – typically the search engine, Google – changed how it evaluates sites. That traffic may or may not come back, ever. Search engines are important, don’t get me wrong. But the rules can change in an instant, and it’s all completely out of your control. To say that social media is even more capricious is an understatement at best. Particularly with respect to sites like Facebook, you’re simply never, ever guaranteed to be seen at all, even by the people who have expressed an interest in your Facebook page or topic area. Facebook, and other social media providers, try to outsmart users by tailoring the flood of social media posts to what they think their users are actually interested in. That may or may not be you, it may or may not change without notice, and it most definitely is completely outside of your control. Even when a social media or other notification stream isn’t filtered, tweaked, or twiddled with, there can be so much streaming by the average user that your posts are simply lost in the noise. Is made up of people who have explicitly said, “I want to stay in contact with you; I want to hear from you regularly.” These are people who’ve given you a precious commodity – their email address – because they like what you have to say. Is still there after the search engine changes its algorithm. 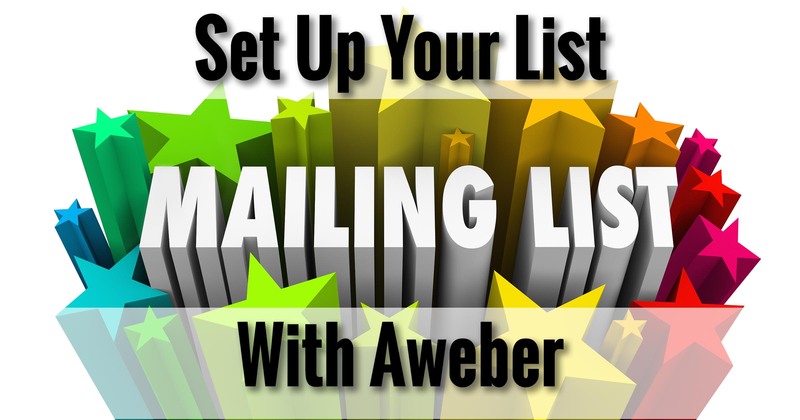 It doesn’t matter one whit what the search engines do; you can still email your list. Is completely under your control. As long as you avoid looking like a spammer (and I’ll talk about that in a moment), there’s no one between you and the recipient. As long as you provide value, only the recipient makes the final choice to read what you have to offer, or not. No social media filtering or second guessing gets in the way. In fact, if your entire web presence completely collapsed, you could rebuild it if you still have your list. It’s that powerful. It’s that important. There are three basic approaches to managing a mailing list. Compose a message in your favorite email program, and send it to a bunch of people listed on the BCC line (or worse, the TO or CC line). I’ll be blunt: never ever do this. This is not how you manage a mailing list associated with your organization, business, or cause. It’s unprofessional, error prone, high maintenance, and is very likely to get you labelled as a spammer. Use mailing list software included with your hosting account. This can be a reasonably acceptable approach for certain types of lists. For example, I maintain a list of people who have expressed an interest in being notified when we host Corgi-related events at our home. If you’re using Bluehost, as prior articles have walked you through, you’ll notice that there’s a “Mailing Lists” option hidden under cPanel/Mail. The mailing list software, “mailman”, is included in your account. While it’s free, it can be cumbersome to configure and maintain. Use a dedicated email service provider (ESP) to host your list. Examples include Aweber (the service I’ve been using for years, and my recommendation), Constant Contact, MailChimp, and others. While typically not free, these give you higher deliverability (email actually makes it into your recipient’s inboxes), as well as easy-to-use user interfaces, along with actual customer support. As I said, option #1 is not an option. The choice between options #2 and #3, and even the ESP alternatives within option #3, boil down to cost, your willingness to deal with arcane interfaces, and how badly you want your email to be delivered to an inbox rather than a spam folder. Just as there are several ways of sending email, there are many ways to invite people to join your mailing list. Add them yourself, without asking. This is the very definition of spam. Never, ever do this. Add them after they make some kind of commercial transaction with you. Technically not spam, but many people consider it spam anyway, if they were not given an option (and even, sometimes, if they are). Place a sign-up form on a special page on your site, and try to direct people to it. Place a sign-up form on every page on your site, and hope people notice it and sign up. Place a sign-up form on some kind of “active element” on your site – something that slides as people scroll down the page, for instance, or an actual pop-up form. The harsh truth is that if you want people to notice and sign up for your email list, you’ll need something like the last option. You’ll note that Ask Leo! uses a pop-up form as well as a slide-up. They work, but perhaps more importantly, experiments without them show that just having a form and hoping people notice it simply does not work. This is one of the reasons I recommended installing Sumome in a previous article: it provides well-behaved sign-up forms in a variety of formats. We all hate spam, but by publishing a newsletter, you’re now on the other side of the equation. You never, ever want to be called a spammer. You never, ever want someone to mark your email as spam. And yet, no matter how good you are about it, it’ll happen. A small percentage of Ask Leo! Newsletter subscribers mark it as spam each week. Perhaps they really do think it’s spam; perhaps they think it’s a “safer” way to unsubscribe; perhaps they missed the “Archive” button that might be right next to the “Junk” button. Nonetheless, it happens. The goal is to minimize how often it happens. Clearly promise what you’ll deliver, and how often you’ll deliver it, when people sign up. Deliver what you promised, and only what you promised, when you send. If your recipients can legitimately say, “wait, this isn’t what I signed up for”, you’re sending spam. So what do you publish? I’ll give you a hint: start by adding value to the world. Publishing new posts on your website that educate, inform, relieve pain, or entertain. 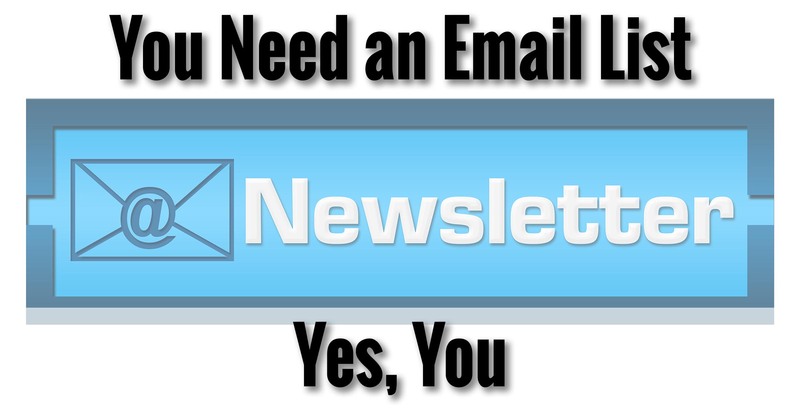 Let that be your emailed newsletter. And it can all be automated. In fact, if you’ve signed up for the Ask Leo! On Business newsletter, that’s exactly what you’ve been getting. Each time a new post is published on the web site, it’s automatically sent out as email to all who’ve subscribed. Depending on your site, business, or topic, you might elect to do something different. For example, The Ask Leo! Newsletter is actually a collection of a variety of information that’s sent out each week. There are appropriate ways to change what you do over time that won’t label you as a spammer. How often should you publish? I think weekly is the sweet spot, at least for starting out. I have seen email lists that send something every day; it can be appropriate for some topic areas, but is very likely to be marked as spam for others. I would not, however, extend more than a month or so between mailings. People tend to forget who you are, or even that they subscribed, and are just that much more likely to knee-jerk react with the “Spam” button as a result. 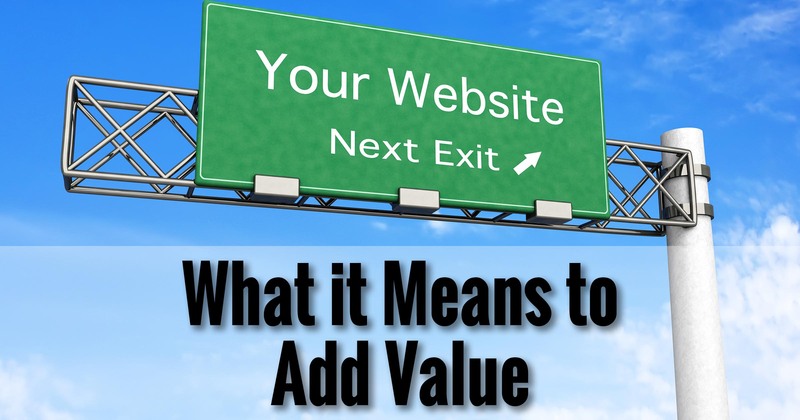 …even if all you do is continue to add value to the world on your web site, and use your list to let those who’re interested know about it. Would someone kindly steer me in the right direction. Actually it’s all on the very site that you just left this comment on: https://biz.askleo.com. Start with the table of contents, linked to at the top. https://biz.askleo.com/table-of-contents/ – If it’s not in the table of contents please let me know.